FEDUJAZZ is a non-profit foundation that provides high-quality, tuition-free music education for the youth of the Dominican Republic. FEDUJAZZ, established in 2015, is a proud partner of the Dominican Republic Jazz Festival, which is now in its 22nd year. With the goal of using music as a catalyst for social development, our collaboration with the Dominican Republic Jazz Festival provides workshops with prominent musicians, including Latin Grammy and Grammy Award-winning artists that perform at the festival, along with classes held year-round at the foundation’s center in Cabarete, serving over one hundred children. The MISSION of FEDUJAZZ is to produce social change through music education. The best party in the Caribbean. 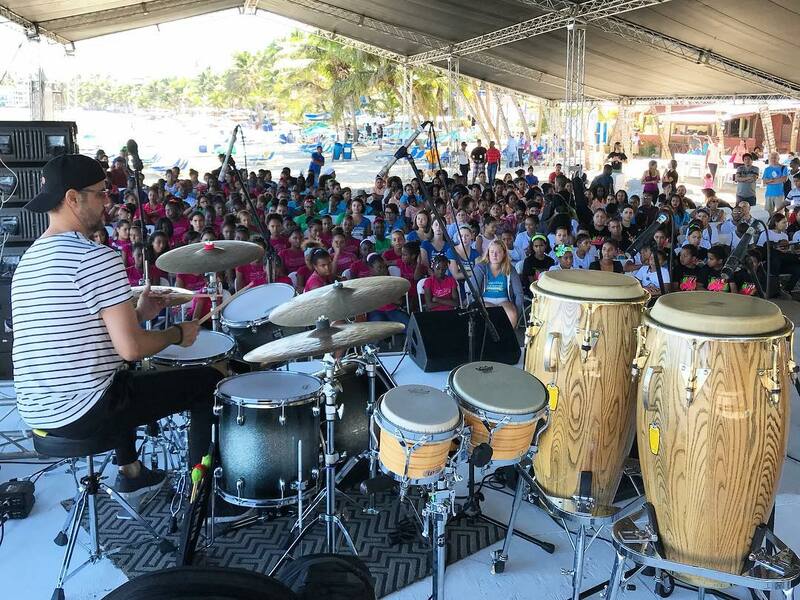 The Dominican Republic Jazz Festival raises money for FEDUJAZZ, a non-profit organization that provides free music education to children in the Dominican Republic. The Dominican Republic Jazz Festival is a world-class event. The Dominican Republic Jazz Festival, the Caribbean’s oldest after Cuba and Puerto Rico, has for 21 years presented Panamerican music in soaring shows that cross Stateside bands with native jazz and merengue groups while nurturing a strong educational program. Music affects society, and it can inspire democracy. With FEDUJAZZ, we want to bring about social change in a new model for student training. Here theory meets practice: It gets better every year. Jazz is gaining an allure in the country, one that is being well nurtured in the Caribbean nation’s younger generations. Artistic Director Marco Pignataro—saxophonist and managing director of Berklee College’s Global Jazz Institute—has expanded FEDUJAZZ program curricula and conceives annual themes of tangible musical and social impact. Travelers coming to the North Coast for the Dominican Republic Jazz Festival enjoy destination tourism of a high cultural caliber.